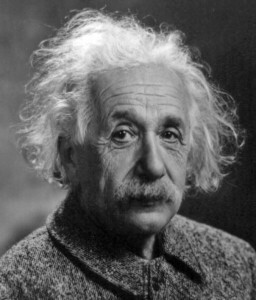 The “father of modern physics”, Albert Einstein (1879-1955) was born in Germany, lived in Italy, and received his higher education in Switzerland. 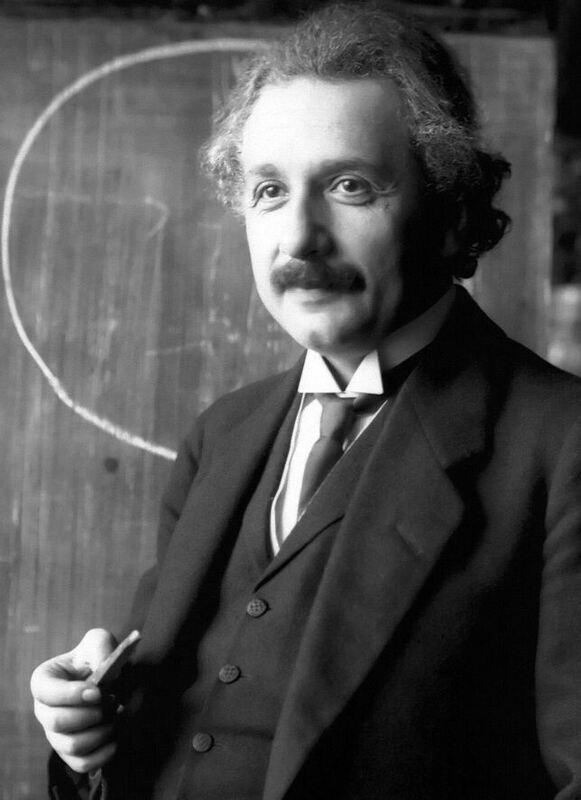 In 1905, Einstein exploded onto the science scene with 4 revolutionary papers on the subjects of the photoelectric effect, Brownian motion, special relativity, and mass/energy equivalence. By 1919 his research and theories were world-famous, with The Times reporting “Revolution in Science – New Theory of the Universe – Newtonian Ideas Overthrown”. He won the Nobel Prize two years later, for the photoelectric effect (not relativity!) In 1922, Einstein travelled the world, with a 12-day stop in Israel, during which he said “I consider this the greatest day of my life.” In 1933, he moved permanently to the US due to the Nazi rise to power. The Nazis raided his house, publicly burned his writings, and even put a bounty on his head worth $5000! Of them, he said, “I must confess that the degree of their brutality and cowardice came as something of a surprise.” Fearing the Nazis would develop an atomic bomb, Einstein penned a letter to President Roosevelt persuading him to start a nuclear weapon research program. 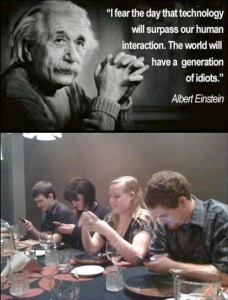 Einstein would later call this the greatest mistake of his life – but a necessary one. He spent the rest of his life researching, teaching and writing, based primarily at Princeton. He was a member of the NAACP and fought for civil rights in America. Becoming a vegetarian, Einstein believed mankind as a whole would benefit greatly by adopting such a diet. Three years before his death he was offered to be President of Israel, but was “saddened and ashamed” to decline, humbly admitting he would have no idea how to run a country. Einstein passed away while working on a speech for Israel’s 7th Independence Day. His brain was preserved to be studied, the rest of his body cremated and scattered. Receiving countless awards, Einstein would publish over 300 scientific works, and an additional 150 non-scientific ones. He revolutionized the fields of thermodynamics, light, quantum physics, energy, relativity, cosmology, statistics, motion and momentum, magnetization, refrigeration and a host of others. He was also a musician. So great is his legacy, that “Einstein” has become synonymous with “genius”. This entry was posted in Science & Technology and tagged American Jews, Atomic Bomb, Brownian motion, Civil Rights, Cosmology, Diet, Energy, General Relativity, Genius, German Jews, Germany, Is albert einstein jewish, is einstein jewish, Israel, Italy, Light, Mass, Music, NAACP, Nazis, Nobel Prize, Nuclear Power, Photoelectric Effect, Physics, President, Princeton, Quantum Physics, Roosevelt, Special Relativity, Statistics, Switzerland, Thermodynamics, Vegetarian, Wurttemberg on November 29, 2012 by Jew of the Week. Ever wondered what Einstein’s office looked like?